At least three people were killed and 144 others injured, some critically, when a pair of powerful explosions ripped through a crowd near the finish line while the prestigious Boston Marathon was still in progress. Convicted Boston Marathon bomber Dzhokhar Tsarnaev has been transferred to a maximum security prison in the US state of Colorado, local media reported. John Tlumacki, a photographer who was present at the marathon’s finish line during the fatal explosions said that US jury was right to sentence Dzhokhar Tsarnaev to death on Friday for his role in Boston Marathon terrorist attack. 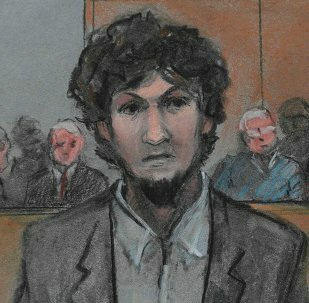 Sentencing Dzhokhar Tsarnaev to death is a warning against anyone who may contemplate to carry out terrorist attacks in the United States, Boston Police Commissioner William Evans stated in a press conference. The death sentence given to Boston Marathon bomber Dzhokhar Tsarnaev on Friday is contrary to the documented opinions of most people in the US state of Massachusetts, the American Civil Liberties Union said in a statement. The jury’s decision to hand the death penalty to Dzhokhar Tsarnaev for his role in the 2013 Boston Marathon bombing brings justice to people affected by the tragedy, victims of the incident said in a press conference. A US federal judge has instructed the jury to begin deliberations in the death penalty case of convicted Boston Marathon bomber Dzhokhar Tsarnaev, according to media reports on Wednesday. A man who did not show up for the final round of the Boston Marathon jury selection process was sanctioned by the US District Court, the US Department of Justice announced in a statement. Convicted Boston Marathon bomber Dzhokhar Tsarnaev’s defense lawyers tried to convince jurors on Monday to spare their client’s life, arguing Dzhokhar was influence by his radicalized elder brother Tamerlan, according to the Boston Herald. 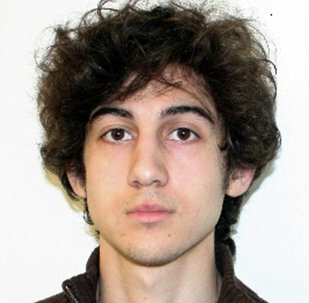 The penalty phase of Boston Marathon bomber Dzhokhar Tsarnaev's trial will begin Monday, local press has reported. Ibragim Todashev, who was shot dead by an FBI agent during an interrogation in May 2013, was a victim of a friendship with Boston Marathon bombing suspects Tamerlan and Dzhokhar Tsarnaev. Ibragim Todashev's relatives announced their plans to sue the FBI for $30 million. 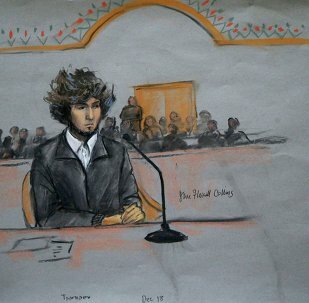 Lawyers of Boston Marathon bombing suspect Dzhokhar Tsarnaev asked the Massachusetts court to suspend jury selection for at least one month in light of the recent terrorist attacks in France. US District Court Judge George O'Toole Jr., who will oversee the trial of Boston Marathon bombing suspect Dzhokhar Tsarnaev, said that the jury would decide whether or not to pursue the death penalty. Lawyers representing Dzhokhar Tsarnaev have reportedly failed to reach a plea agreement with the prosecutors, under which the Boston Marathon bombing suspect could have received a life sentence without parole. Jury selection will proceed for the trial of Boston Marathon bombing suspect 21-year-old Dzhokhar Tsarnaev, who is facing 30 counts, ranging from murder to using a weapon of mass destruction in Massachusetts Monday. In a last ditch effort to move the trial, Tsarnaev's defense lawyer appealed again after the judge repeatedly denied request for a change of venue and delay of trial. 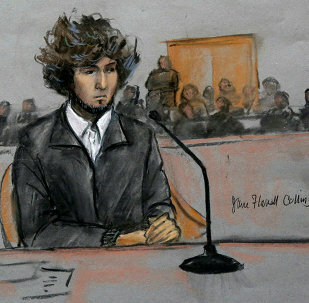 Dzhokhar Tsarnaev, the Boston Marathon bombing suspect, appeared in court on Thursday, December 18. If convicted he may face the death penalty. A judge has rescheduled the trial of the Boston Marathon bombing suspect, granting a two-month delay, but has refused to move it from Boston to Washington DC, the Associated Press reported early on Thursday. A sister of the Boston Marathon bombing suspects has been arrested and charged with aggravated harassment after making a bomb threat over the phone to her boyfriend’s ex, CBS New York reported.